During that time, chocolate was mainly consumed in drink form. 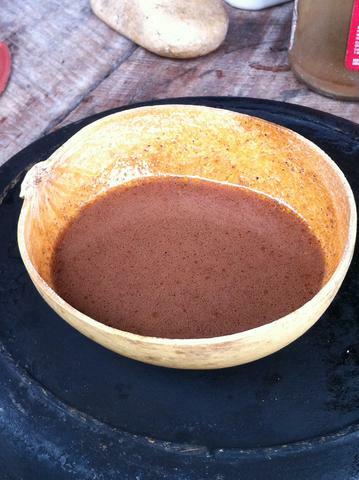 The cacao beans were ground to a fine powder and mixed with cornmeal and chiles to create a thick, spicy, bitter, chocolate drink consumed for its health benefits. Before the Spanish arrived, cacao provided the only source of caffeine. Cacao proved to be a valuable socioeconomic commodity, such that Mayan communities managed cacao plantations which awarded these cities a privileged status from the cacao trade. Cacao also played an important role in marriage, ceremonies, and was used as offerings during funeral rites. 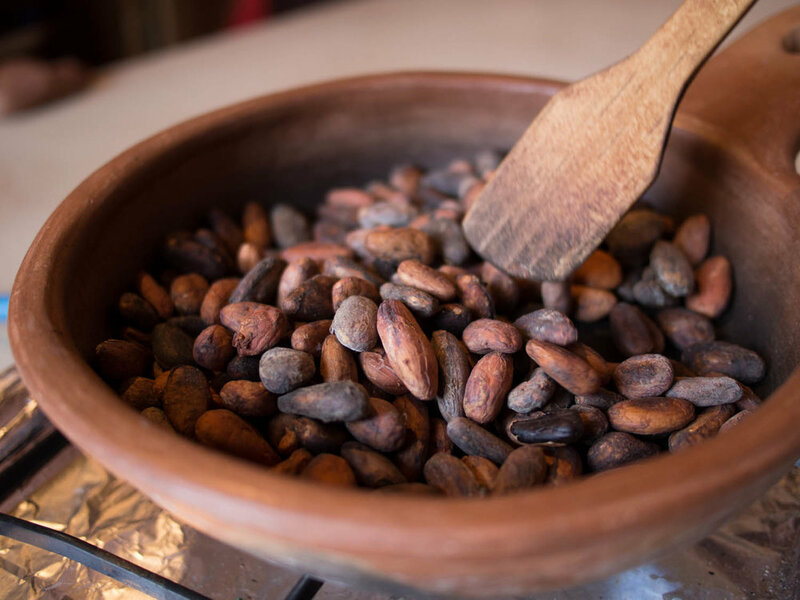 The prestige of cacao even awarded the bean to be used as a form of currency among Maya cities. Today, Guatemala produces approximately 10.5 tons of chocolate, with over 9,000 cacao farms. Native to Mesoamerica, corn was first found in Guatemala around 3,000 BC. The crop was cultivated alongside squash and bean crops in the Peten region of Guatemala. With 25 recognized varieties of corn found around the world, Guatemala has farmed 13 varieties, of which white, black, and yellow corn being the most widely consumed. More than just food, corn was revered among the Mayans as a sacred diety. Within mayan culture, corn is consumed in 4 ways: the corn tortilla, the tamal, atole (a warm corn drink) and pozole (a soup). There is evidence to suggest that these 4 meals were prepared in ancient times, due to the excavation of cooking tools like the comal and grinding stone. To this day the vast majority of corn grown in Guatemala is used to make masa (dough) for tortillas and tamales. 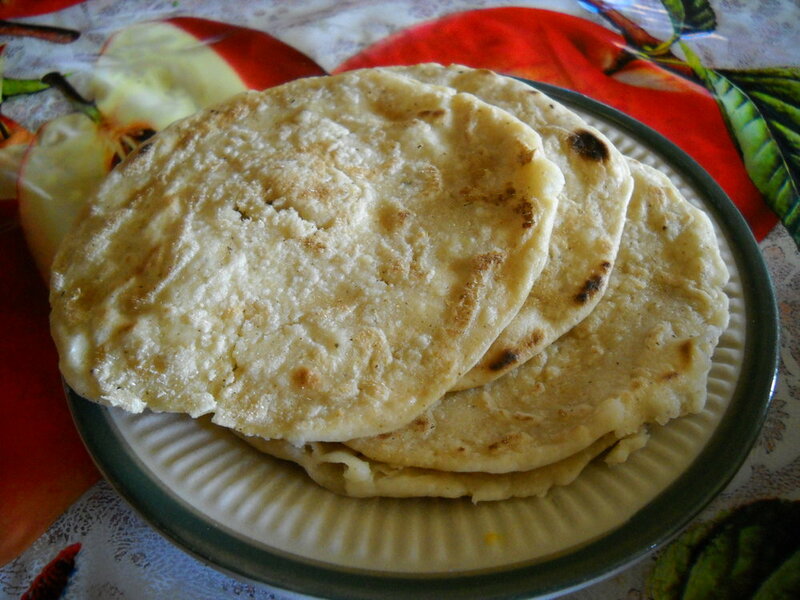 A Guatemalan tortilla is entirely different than its Mexican brother. Tortillas in Guatemala are smoky tasting and thick while still being fluffy. So next time you are enjoying a Guatemalan tortilla, give thanks to the industrious Maya who created such a tasty staple. When you think of Guatemalan agriculture I bet you imagine fields of corn and beans, coffee and cacao trees, and tropical fruit trees. Would you believe that this country is also famous for producing some of the world’s best cardamom, known as the ‘green gold’ of Guatemala. Often interwoven with coffee plants, the crop native to India was first brought over to Guatemala by German coffee planters after the first World War. In 1980 Guatemala surpassed India in worldwide production of cardamom, currently making Guatemala the world's largest producer and exporter of cardamom, with a large proportion of it exported to the Middle East. After saffron and vanilla, cardamom is the third most expensive spice by weight. Cardamom is the fourth largest agricultural export product of Guatemala by value. Local consumption of the spice is negligible and therefore supports the exportation of the majority of cardamom that is produced in country. Sesame seeds appear in a spectrum of colors from white to black. Most commonly, the countries of El Salvador, Guatemala, Mexico and Nicaragua grow white sesame seeds, while most of the black sesame seeds come from China and Thailand. Guatemalan cuisine incorporates a lot of white sesame seeds into its dishes. Toasted with vegetables and chiles to make broths for stews, or sprinkled on top of breads and cookies, Guatemalans have included sesame seeds in the country’s dishes since their introduction by the Spanish. While these seeds flourish here today (Guatemala is known for growing some of the highest quality sesame seeds in the world), sesame seeds did not originate from these soils. Most often seeds are incorporated into dishes after they are toasted. Toasting sesame seeds brings out the oils and adds a strong taste and aroma to the dish. For a stew broth, after the sesame seeds are toasted alongside other ingredients, they are put into a blender with chicken broth and blended until a rich aromatic broth is produced. The Chile Pasa and Chile Guajillo are two of the most commonly used chile peppers in Guatemala. Both are found in the country’s famous Pepian stew, as well as sauces for Guatemalan tamales. The Pasilla pepper is the dried form of the Chilaca chile. The peppers are often used in sauces, producing a flavorful taste of berry, raisin, cocoa, and smoky overtones. Beware, often times in the United States, the Pasilla or “little raisin” is incorrectly used to describe the Poblano pepper, of which the dried form is properly called an Ancho Chile. These moderately hot chiles are smooth, shiny, and reddish-brown. Four to six inches long, Guajillo chiles are a variety of chili of the species Capsicum annuum.Guajillos have a sweet heat with a hint of pine. The Guajillo, pronounced gwah-HEE-yoh, means "little gourd" for the rattling sound the seeds make in the dried pods. In certain parts of the world, you may also find these chiles under the name Chile Guaque. Achiote is a staple in Guatemalan cooking, widely used in sauces, stews, meat marinades, and desserts. Achiote is technically a product of the Annatto seed, harvested from the Annatto tree; but when used in cooking, the seeds are referred to as Achiote. The seed is mainly used for adding a rich red/orange color to dishes, and is in fact, not used for flavor or aroma. Many Mayan dishes would lack visual appeal if not for achiote. The Annatto tree is grown in Guatemala and is a native tree to the tropical regions of the Americas. Since Achiote is mostly used for coloring dishes, it is important not to overuse the spice, or else the result will altar the color and the flavor will taste overly “earthy” and bitter. The amount used correlates to the desired color you are looking for. A small amount results in a yellow color, while tablespoons will result in a thick rich red coloring. Achiote pairs well with dishes that incorporate oregano, cloves, cumin, allspice, paprika, and citrus. Achiote can be found at most grocery stores (even in the United States)! It is available whole, ground, or in paste form. The ground form can be used as a rub for meats or dissolved to make a paste. The achiote powder only needs to be mixed water, lime juice, or vinegar to form the paste.